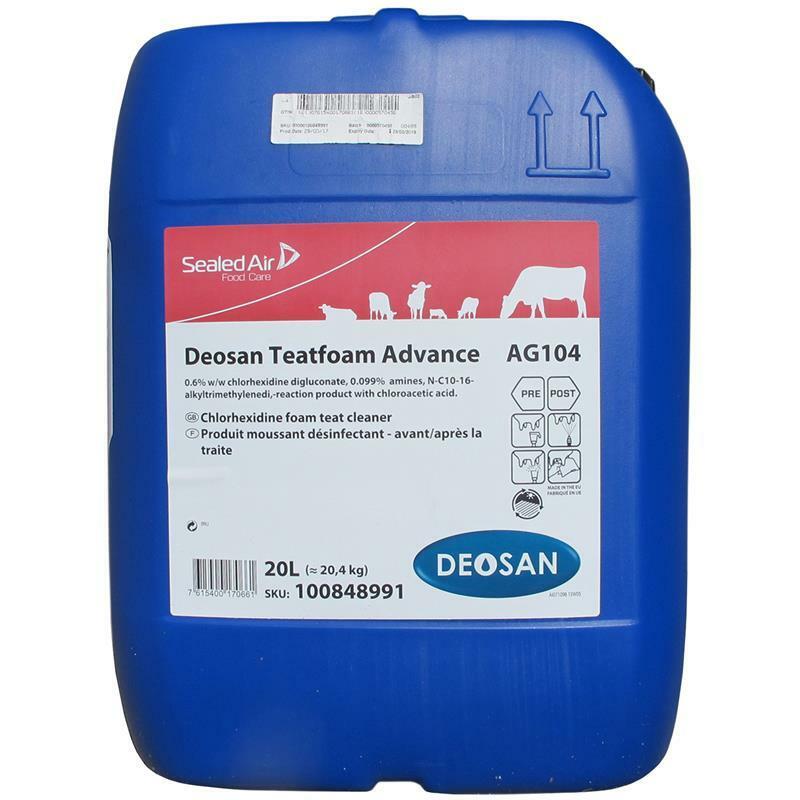 Exceptional dual biocide teat disinfectant, suitable for all pre- and post-milking teat disinfection applications. Dark green liquid containing chlorhexidine and amphoteric biocides, glycerine and eucalyptus oil. Enhanced skin friendly surfactant base. Generates stable foam for pre-milking efficiency.